ViperSpectra Reflector series V1200W Made in the U.S.A. | Stoned Age Hemp Shop 2000B.C. 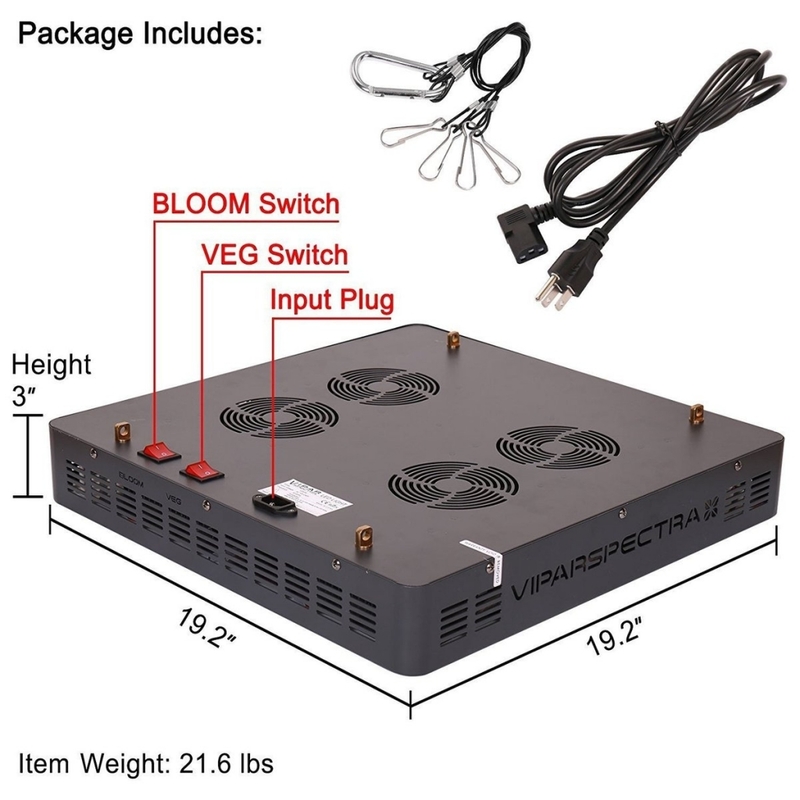 ViperSpectra Reflector series V1200W Made in the U.S.A.
Viparspectra V1200 lamp is designed scientifically to balance the coverage of light. 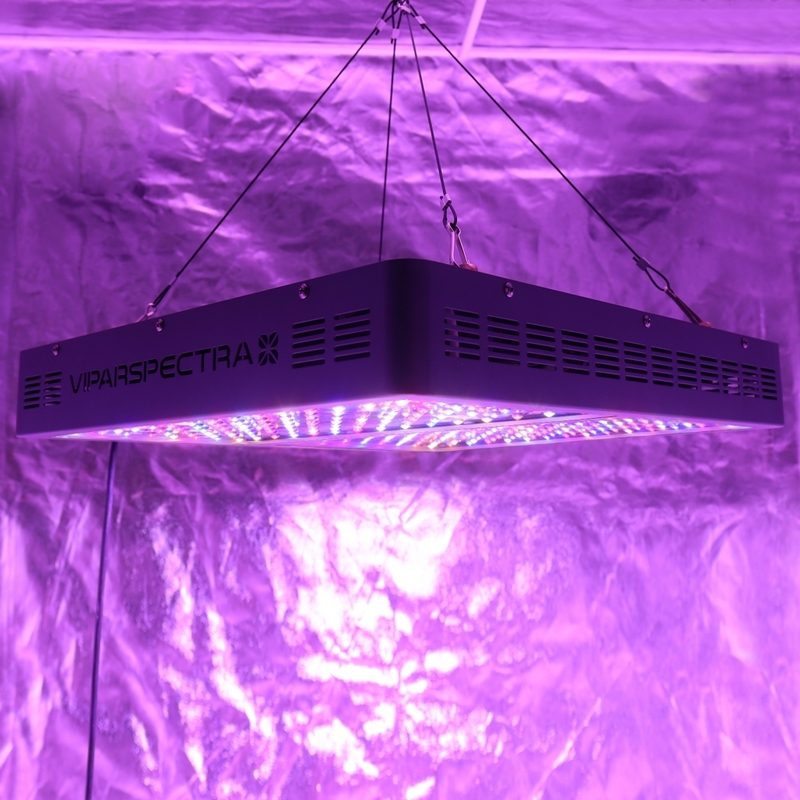 This lamp offers optimal full spectrum- an ideal feature for growing marijuana. The other lights in the market use 1200 watts. 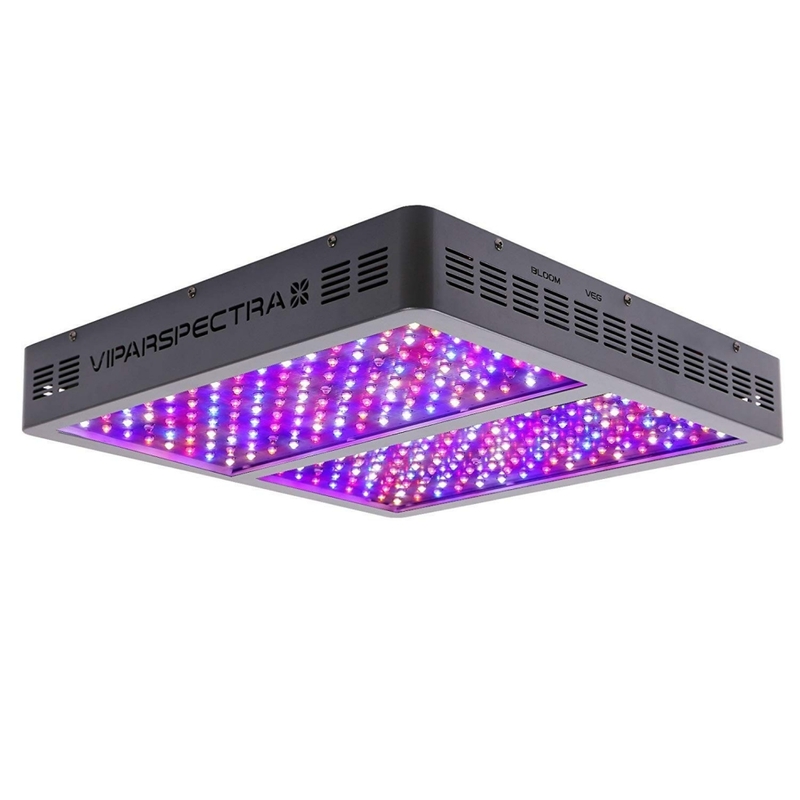 As compared to the traditional and other 1200 watts lamps, Viparspectra only consumes 524 watts. The lamp has aluminum cooling heat sinks and high-speed 4.72-inch fans which offer easy heat dissipation. The lamp’s LEDs angle is 90º. It has high-intensity 5 Watt Bridgelux/Epileds LED Chips. The lamp comes with 6ft power cord. Viparspectra V1200 comes with an extensive 3-year warranty. The indoor growers have designed this lamp after careful experimentation of several years and extensive testing. The lamp is designed to keep high PAR/Lumen balance and to offer suitable coverage. 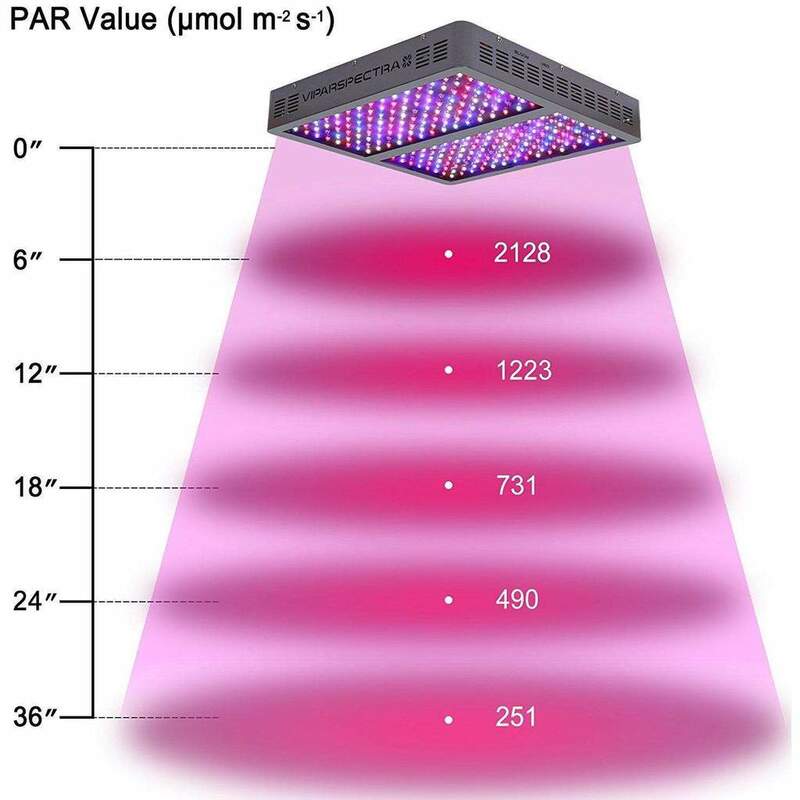 It is scientifically engineered to offer even and intense light that is not just concentrated in the center of the growing area. This helps to help prevent potentially burning the leaves and stunting plant growth. The lamp design has revolutionary aluminum cooling heat sinks and cooling fans which are 70% cooler than the old-fashioned lights. 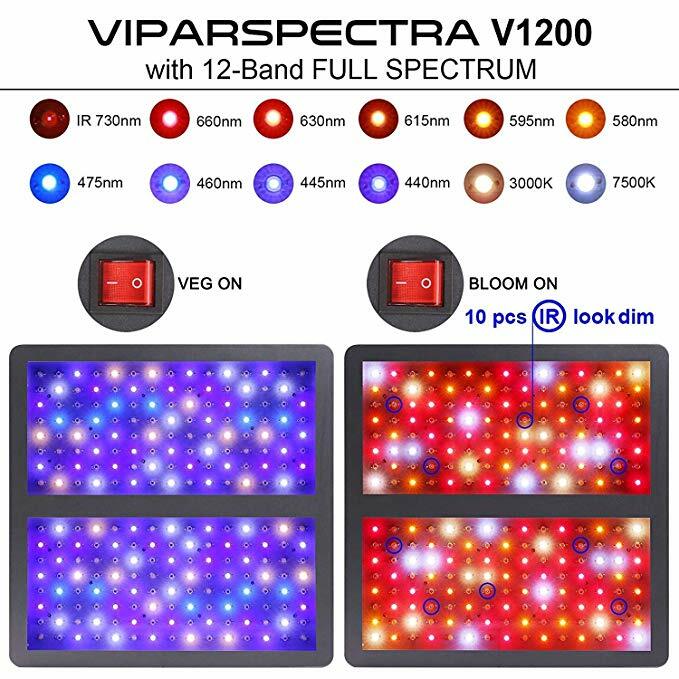 Viparspectra V1200 provides mixed light of several colors and light warmth. This helps to use the watts to its full potential to meet the plant’s needs. Also, the LED panels of this lamp have very low heat output. The self-sufficient design of this lamp requires no extra ballast. The LED is long-lasting and easily controlled by the timer. The maintenance cost of this lamp is zero.